As such, foreigners enjoying themselves in Shida Night Market are a common sight. In addition to the foreign students, there are of course the several cliques of local university students visiting here and devouring their favorite street snacks or even enjoying a glass of Taiwan's famous pearl milk tea. 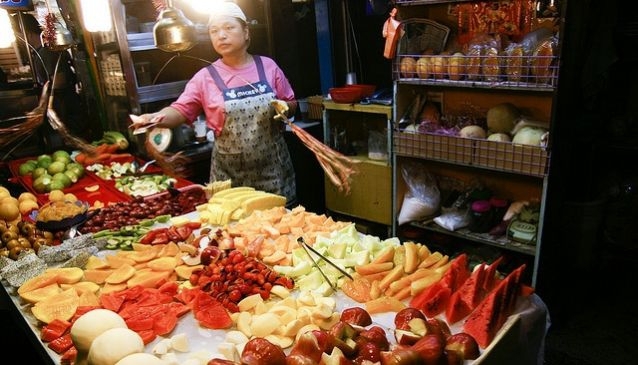 Highlights of this tour are night market food, such as in the famous Yongkang & Dongmen area, old Shida night market, and one of the favorite local spots GongGuan night market. Other specials include Quin-Kang-Long Cultural Walk, Wen-Roo-Ting Cafe Walk, Liang Shih Chiu House or Yin Hai Guang House, amongst other attractions. This tour also offers a suprised gift for the partcicipants!